Peru, IN (May 28, 2018) VRI — As staff at a Griffith Goodwill store worked their way through donations, they made an unusual find: an urn. Because it bore the name Mark Kelley, staff searched the internet for an obituary, said Terry Wheeler, who works maintenance at Goodwill, and found the man had died in New Mexico and was a Korean War veteran. 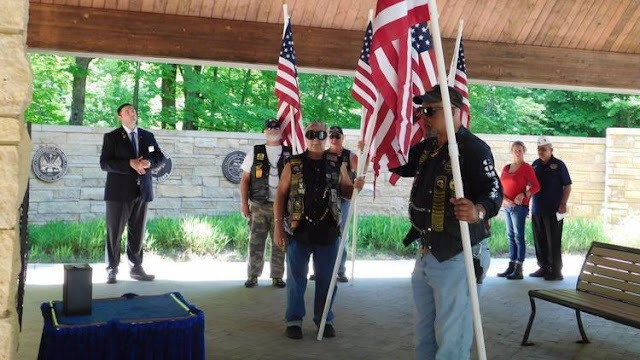 So he called Shawn Kochopolus, a Navy veteran from Cedar Lake, who called Jason Gootee, also a Navy veteran and a Lake County veterans service officer, who made arrangements with Hillside Funeral Home, which found the cremains a burial plot at Abraham Lincoln National Cemetery, in Elwood, Ill. The remains of Mark “Bud” Kelley, 79, who died in New Mexico in 2013, were laid to rest with veterans’ honors Thursday. “If I couldn’t have done anything, I would have done everything in my power to find somebody who could,” Gootee said. The Lake County Veterans Service Office routinely handles burials for families, Gootee said, but he can’t remember any cases involving unclaimed remains. “I was just taken aback at first that this was a situation,” Gootee said. The man’s obituary said he once lived in Peru, Ind., Gootee said, and he reached out to the Miami County Veterans Service Office, which sent Kelley’s service separation papers. Gootee said the paperwork showed Kelley was in the Air Force, served in the Korean War and was awarded two Bronze Stars. Gootee called Hillside Funeral Home to see what arrangements could be made for the unclaimed cremains. With the discharge paperwork, Hillside was able to make arrangements with Abraham Lincoln National Cemetery. “I’m just happy this fell into our hands,” Gootee said. “And that it’s an office that strives very hard to serve the veterans in this area. Gootee said it was important that he made sure Kelley had a proper burial and was not just left alone. “I would hope somebody would do the same for me,” he said. Gootee said he tried to reach out to the next of kin whom the Miami County office had on file but never got a response. “You just hope someone good out there takes care of you when you’re gone,” Kochopolus said. Gootee said he thought it was important to see Kelley buried with veteran’s honors and not as unclaimed remains. “I can’t imagine just floating around like that,” Gootee said. On Thursday Kelley’s ashes were escorted to the cemetery by the Patriot Guard, taps was sounded, rifled fire was volleyed, a flag was presented, and he was laid to rest. 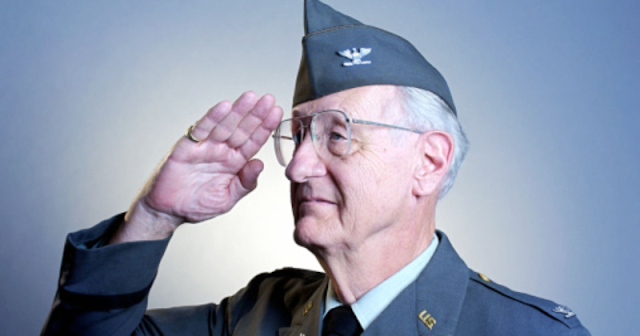 Beech Grove, IN (May 20, 2018) VRI — With May being Military Appreciation Month and significant military pension changes taking effect this year, the personal-finance website WalletHub recently released its report on 2018's Best & Worst States for Military Retirees. To help our troops plan their years after service, WalletHub compared the 50 states and the District of Columbia across 27 key indicators of retirement-friendliness toward veterans. The data set ranges from job opportunities for veterans to housing affordability to quality of VA hospitals. Florida was ranked the top state for military retirees with District of Columbia ranking at the bottom in 2018. Indiana is 2018's 10th Worst State for Military Retirees with a ranking of 43rd. Beech Grove, IN, (May 11, 2018) VRI — Today, the Friday before Mothers Day, marks the continued tradition of honoring the other half of the military: the spouses. With Military Spouse Day, the spouses of troops are honored for their great sacrifices and contributions to our military. According to a recent article on Military.com, there were 689,060 soldiers who were listed as married in 2017. Since the founding of our Republic, military spouses have served alongside their loved ones and played vital roles in the defense of our country. Their selfless support, volunteer spirit, and significant contributions have left indelible marks on our military and communities. On Military Spouse Day, we pay tribute to these remarkable patriots, past and present, including the incredible women and men who currently serve, in steadfast support of America’s Armed Forces, as our Nation’s military spouses. Military Spouse Day is an opportunity to thank the inspirational men and women who are the foundation of our Nation’s military families. Their countless sacrifices and tireless devotion to this country, and to those who defend her, are invaluable and irreplaceable. Military spouses shoulder the burdens of a challenging and demanding lifestyle with pride, strength, and determination. 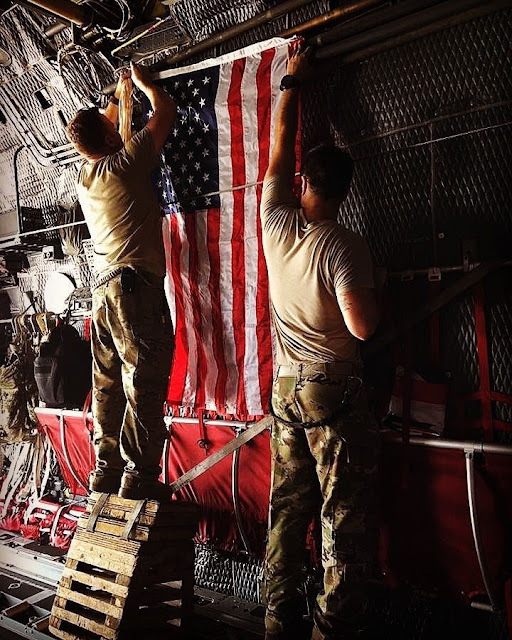 They demonstrate uncommon grace and grit, and although most military spouses do not wear a uniform, they honorably serve our Nation ‑‑ often times without their loved one standing beside them. We ask so much of our military spouses: frequent moves; heartbreaking separations; parenting alone; incomplete celebrations; and weeks, months, and sometimes years of waiting for a loved one’s safe return from harm’s way. Time and time again, however, military spouses respond with resilience that defies explanation. Our service members are often praised as national heroes, but their spouses are equally worthy of that distinction. My Administration is committed to taking care of our Armed Forces and ensuring that our military is equipped to defend our country and protect our way of life. This mission also includes caring for the unique needs of military spouses, whose service to our Nation cannot be overstated. Too often, military life can interfere with the aspirations and dreams of our military spouses. For example, frequent and often unexpected moves can impair career and academic goals. Even as our economy prospers, military spouses continue to face an unemployment rate far higher than the national average, up to 16 percent in 2017. Further, data from the 2016 American Community Survey indicates that military spouses suffer from underemployment at a greater rate than Americans more broadly, at an estimated 31.4 percent compared to 19.6 percent overall. All of these are added and unnecessary burdens on military families. We can and will do better, which is why my Administration will continue to focus on enhancing employment opportunities for military spouses. On May 9, I signed an Executive Order to enhance opportunities for military spouses looking for employment in the Federal Government. This action promotes the use of an existing hiring authority for military spouses and seeks to provide significantly greater opportunity for military spouses to be considered for Federal Government positions. Beyond the Federal Government, I encourage every American business, large and small, to find ways to employ military spouses, and keep them employed as they relocate ‑‑ sometimes every 2 or 3 years ‑‑ to new duty stations. More than 360 employers with regional and national footprints have made this commitment through the Department of Defense’s Military Spouse Employment Partnership. 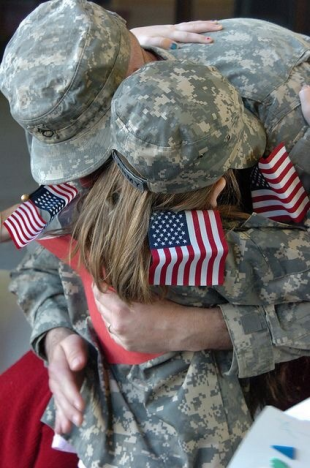 In less than 7 years, these patriotic partners have hired more than 112,000 military spouses. We are grateful for these employment opportunities and hope to see many more businesses participate in this important initiative. In addition, many military spouses encounter unnecessary delays remaining in the workforce following a change in duty station. These spouses are more likely than other workers to face barriers to employment due to the impact of occupational licensing laws, since they frequently move across State lines and are disproportionately employed in occupations that require a license. 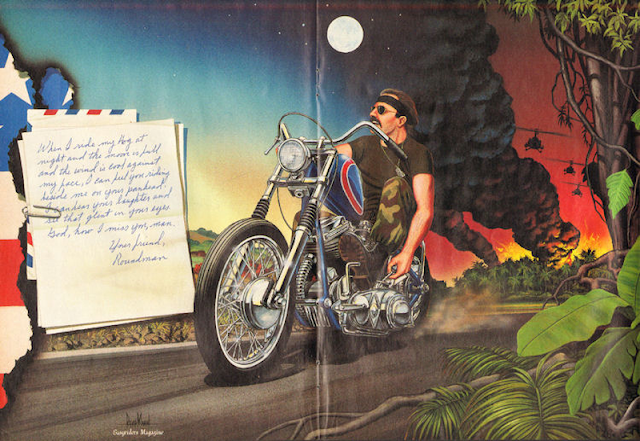 Existing State laws regarding license portability are insufficient. States and occupational licensing boards can and must do more to improve the license portability to facilitate career continuity and ease financial burdens on our military families. As we observe Military Spouse Day, we salute generations of military spouses for their leadership, courage, love, patriotism, and unwavering support for the courageous men and women of our Armed Forces. On this day, Melania and I offer our deepest respect and gratitude to every person who has embraced this noble calling in proud service to our Nation as a military spouse. NOW, THEREFORE, I, DONALD J. TRUMP, President of the United States of America, by virtue of the authority vested in me by the Constitution and the laws of the United States, do hereby proclaim May 11, 2018, as Military Spouse Day. 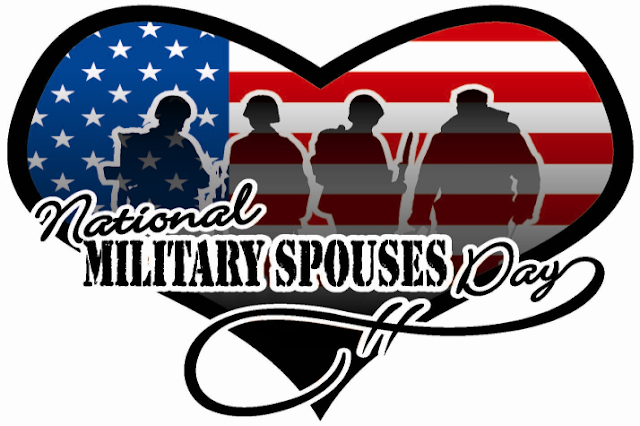 I call upon the people of the United States to honor military spouses with appropriate ceremonies and activities. IN WITNESS WHEREOF, I have hereunto set my hand this tenth day of May, in the year of our Lord two thousand eighteen, and of the Independence of the United States of America the two hundred and forty-second.